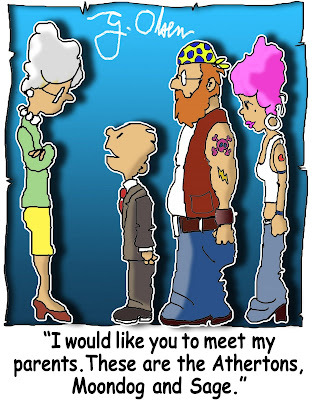 I remember when I was young and I had to meet the parents of my 1st boyfriend. I was a wreck. I didn't know whether to shake their hands or kiss them on the cheek. I didn't know whether to call them Mr and Mrs (last name) or Tito and Tita. I didn't know if they would like me or hate me on sight. I know that most parents would wonder what their child saw in their partner. I know that they of course would wonder, "what's in her? what did my son see in her? Is she special enough? Does she deserve my child?" "What if she breaks his heart? What if she gets pregnant?" I know that those things go through a parent's brain. They ask so many things because they of course want the best for their son. I understand that. I do. Which is the reason why everytime I am introduced to the parents, I tend to panic. I mean, I always want to be introduced to the parents. Of course, what girl wouldn't right? At least you know that the guy you are with is serious about you. But then, a part of you panics because you want the parents to like you too. It's a nerve wracking moment.